Geometric prints are hot right now! 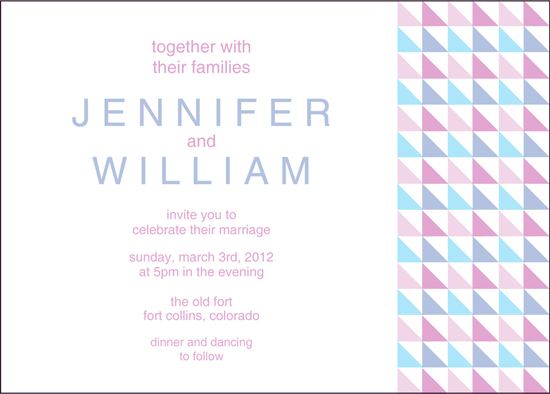 They are so whimsical, bold, fresh, and modern. Different color combinations can really change the look and feel of the geometric print. 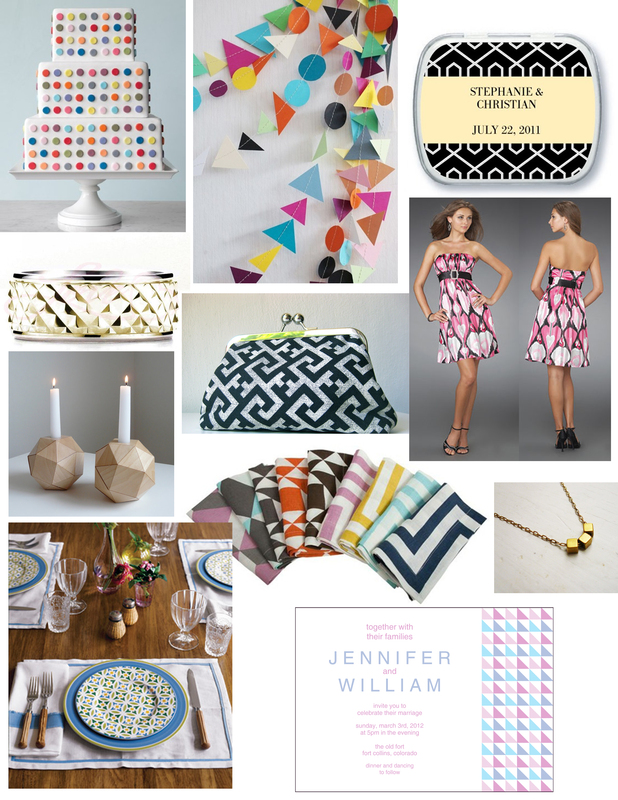 Check out this triangle geometric wedding invitation I designed and an inspiration board that helped me make it.